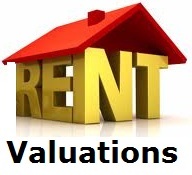 In our post - Valuation of Real Estate: How can you value your RealT?, we discussed about various parameters one should consider while valuing a RealT property. Today let’s discuss about one of the technical tools of valuation which forms a vital component of this process. Today we will discuss about a monetary parameter of valuation. We will take a simple real-life case study and show how ‘Rental Income’ played its role in constituting the value of that asset. Before we begin, let’s make some validated assumptions. We are saying ‘validated’ because the case we are discussing here is a real life case. We are not taking into account the time-value-of-money & the appreciation in the asset’s value over the time. This is just to keep the things simple and calculate the impact of only Rental Income as compared to the investments in the asset. All figures in INR '000. Click to enlarge. This figure shows that this person has recovered his 41% investment in the property, just by rental incomes! He didn't have to do anything in earning this revenue. The above discussed case study clearly shows that Rental Income indeed forms a vital component in the overall valuation of any asset. It is just like dividend investing: you keep on getting recurring returns on your invested money, leave aside the appreciation in the asset. So next time you think of investing somewhere, just evaluate whether or not that asset is capable of generating recurring returns in the form of rental income!